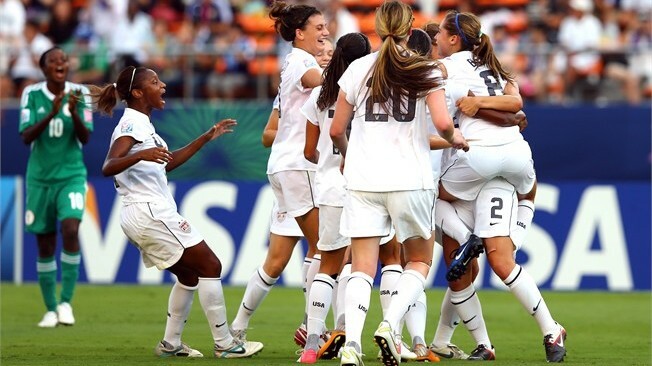 USA have won their way into a third FIFA U-20 Women’s World Cup final with a 2-0 victory over 2010 finalists Nigeria in Tokyo. Goals midway through either half from Morgan Brian and Kealia Ohai proved enough for the two-time champions to see off the hitherto unbeaten Africans, and set up a decider against either holders Germany or hosts Japan. Nigeria made the brighter start as Francisca Ordega latched onto a through ball on seven minutes and beat USA goalkeeper Bryane Heaberlin in a race to the ball, only for her prodded effort to go wide of the post. Brian scored the all-important opening goal midway through the first half, perfectly directing a header over goalkeeper Ibubeleye Whyte, following Mollie Pathman’s cross from the left. USA started to take the ascendency after the goal, and created several chances in the closing stages of the half. Cari Roccaro pushed a first-time effort over the crossbar directly from a corner, while Kelly Cobb then headed onto the roof of the net. The half-time came at an opportune time for Nigeria, despite the Africans dominating possession overall during the opening period. 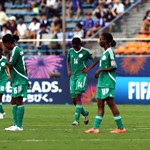 Nigeria thought they had drawn level soon into the second half but Desire Oparanozie’s effort was ruled out for offside. Almost immediately a skilful run from Ngozi Okobi set up Oparanozie for a gilt-edged opportunity to draw level, only for the No 9 to blaze over. However, midway through the second half came a hammer blow for the Nigerians as substitute Samantha Mewis pushed a short defence-splitting pass for Ohai to get the better of her marker and score. The Stars and Stripes will now have the opportunity to win their third title in Saturday’s final, following previous tournament victories in 2002 and 2008.